With black being the color of the night at the 2018 Golden Globes, Hollywood’s biggest starlets made sure to bring their A-Game when it came to their beauty looks. Making sure their hair and makeup stood out, but beautifully complemented their black ensembles. From bold lips and purple touches, to fresh faces and intriguing hair details, these our our favorite beauty looks from last night. Staying on theme with the Time’s Up Now movement these starlets decided to add a surprising twist to their makeup looks. Green, purple, and white where the color used during the Suffragist Movement, so makeup artists decided to incorporate these shades to create some smoldering smokey eyes and berry lips. “In their literature, purple was a royal color that stood for the royal blood that flowed through the veins of every Suffragette, their instinct for freedom and dignity, white stood for purity in public and private life, and green was the color hope, and that’s why they chose those colors,” said Emma Stones makeup artist Rachel Goodwin. The lipstick color of the 2018 Golden Globes? Red all the way in satin, mate, and glossy finishes. But it wasn’t just one shade of red—celebrities opted for a variety of hues, from crimson red to berry moments, to perfectly complement their skin tones and outfits. Keeping it simple and fresh was also a major trend last night. With these starlets opting to keep their makeup soft with beautiful pastel pinks. Add in a pair of fluttery lashes and you have the perfect romantic look. Because you want to shine not just in the front but also from the back, the starts from two of Netflix’s biggest hits chose to add a little intrigue to their do’s. 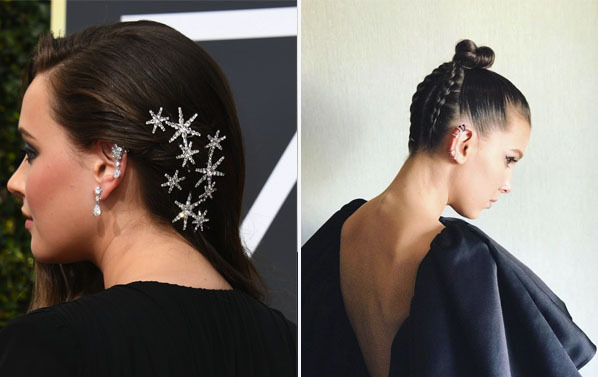 With Katherine Langford from 13 Reasons Why adding some stunning star hair pins and Millie Bobbie Brown from Stranger Things going for a structured braided up do. Hi! 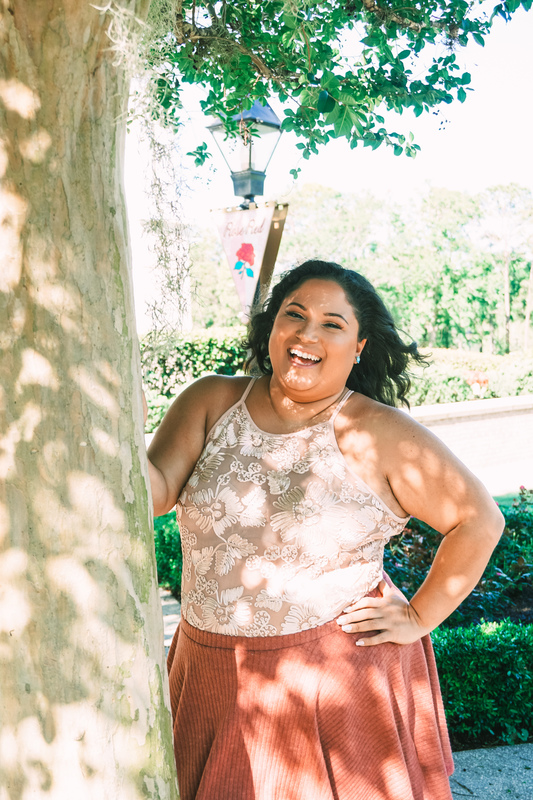 I am Ruthie, a body positive blogger based in Orlando, who inspires women to feel comfortable in their curves by sharing my love for fashion, beauty and lifestyle, while helping them see just how amazing a #lifeincurves can be!